The HEADREST is equipped with a self-closing aluminum door displaying the CALLAHEAD brand on the exterior. The key lock entry door also has an interior locking system to ensure every user is guaranteed privacy. As soon as you enter the HEADREST, you'll quickly forget you entered a portable restroom. 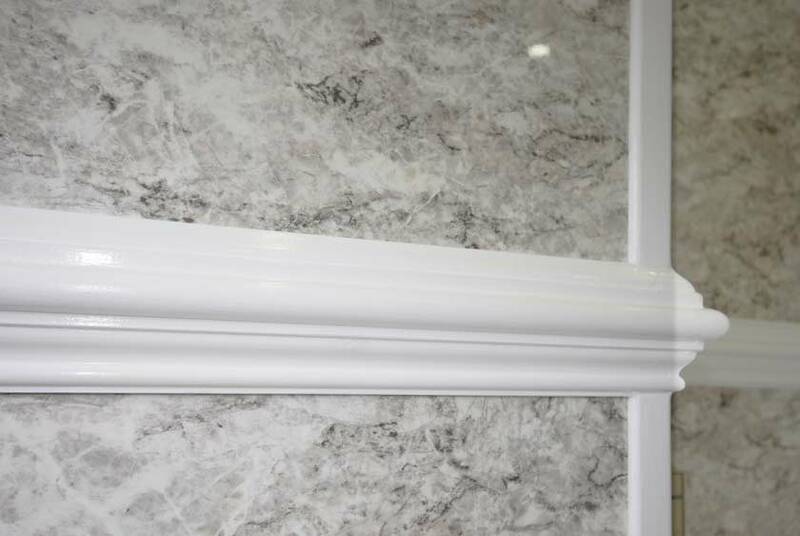 The beautiful faux granite walls have white finished wood base moldings, chair rail moldings, crown moldings and corner moldings. 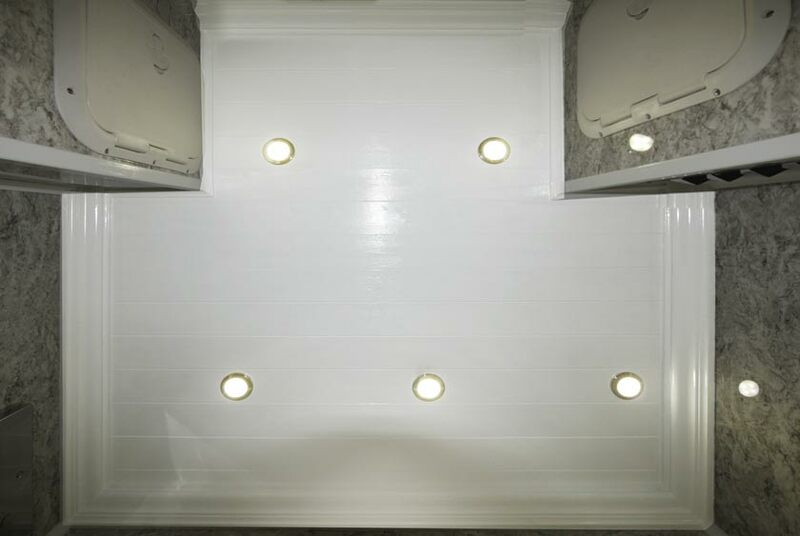 The detail carries up to the white finished wainscot wood ceiling with five high-hat lights to supply plenty of light inside the restroom. 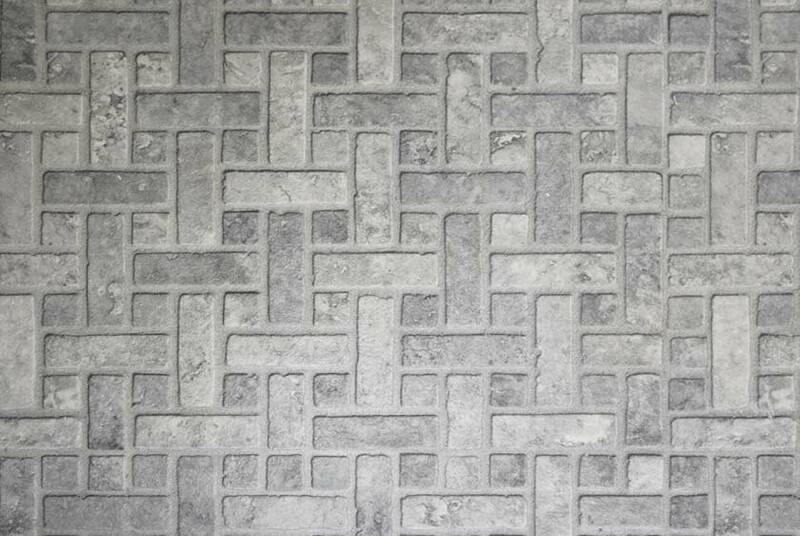 Armstrong faux mosaic marble flooring adds to the restrooms homelike design. 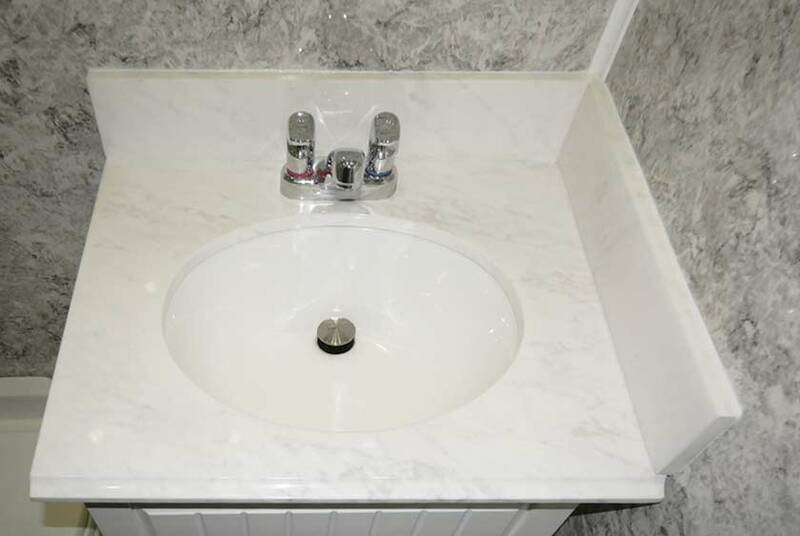 The full vanity has statuary marble countertop with a 3" marble backsplash. 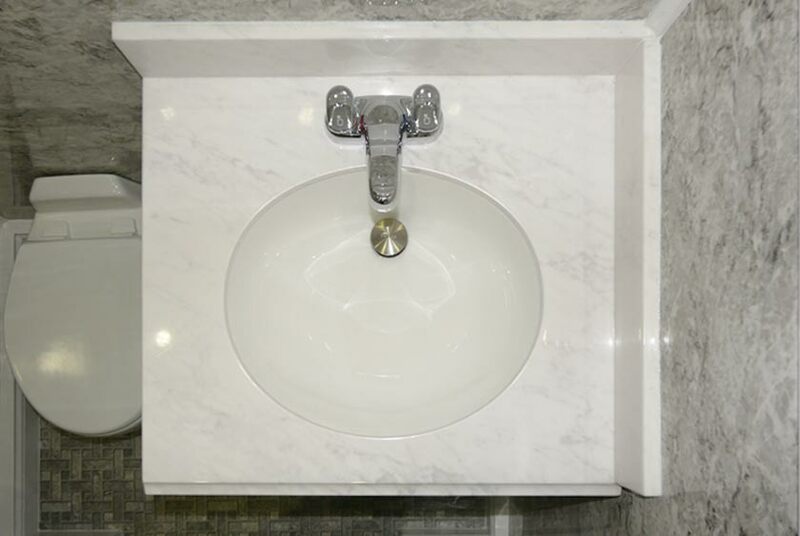 The porcelain sink basin has a Moen automatic faucet and supplies hot and cold running water. Built-in Georgia Pacific soap and hand towel dispensers are all in a splash blue color that jumps off the faux granite walls. 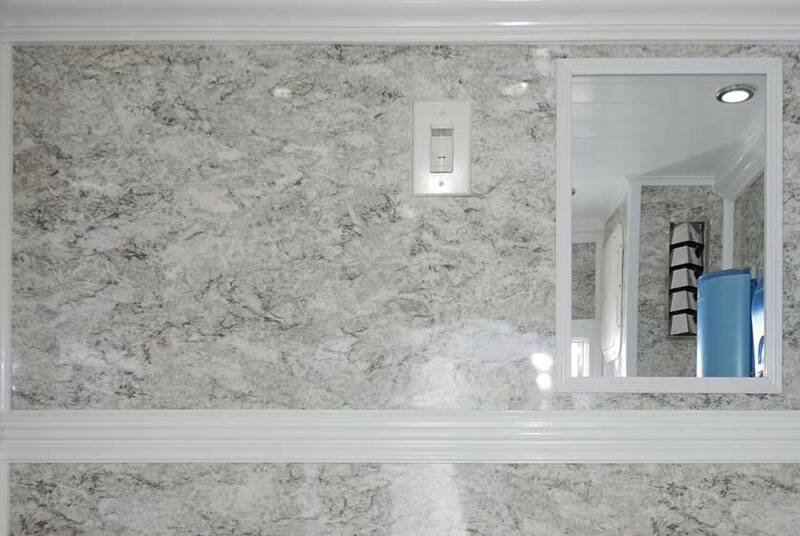 A vanity mirror is mounted above the sink. There is also storage under the sink for extra supplies. The low flush porcelain toilet bowl has an easy foot pedal flushing system for hands-free operation. 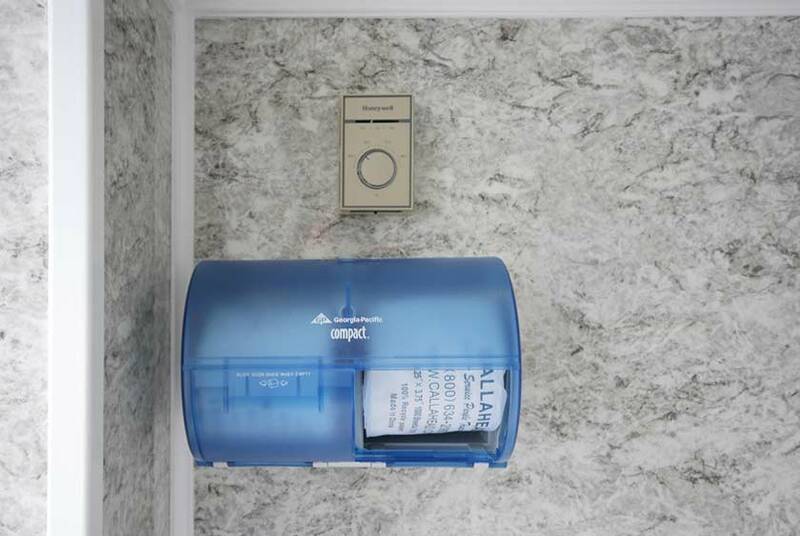 The Georgia Pacific dual covered toilet paper dispenser, also in splash blue, is easily accessible. 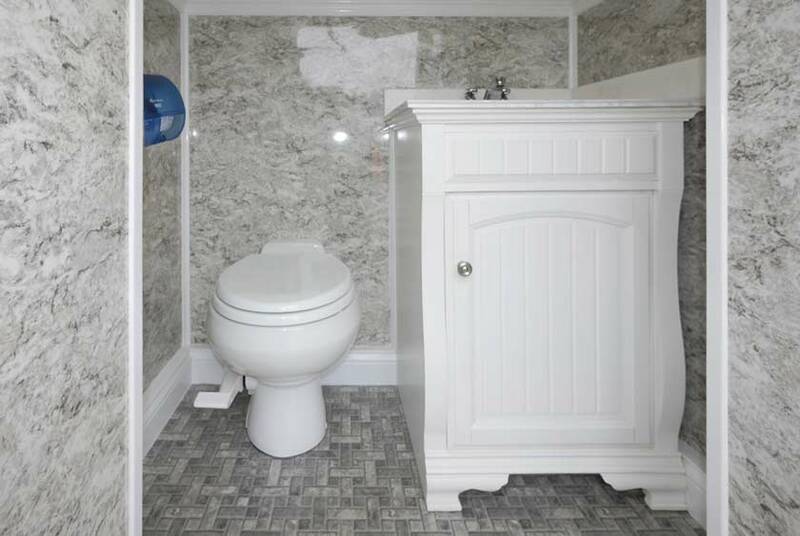 The HEADREST is an entirely self-contained restroom with a built-in freshwater supply. Unlike other portable toilet companies, CALLAHEAD created two different systems which operate the sink and toilet bowl from two completely separate water supplies for a greater sanitary bathroom environment. Because the HEADREST is completely insulated, it operates in well below zero temperatures to easily handle the coldest New York winter months. 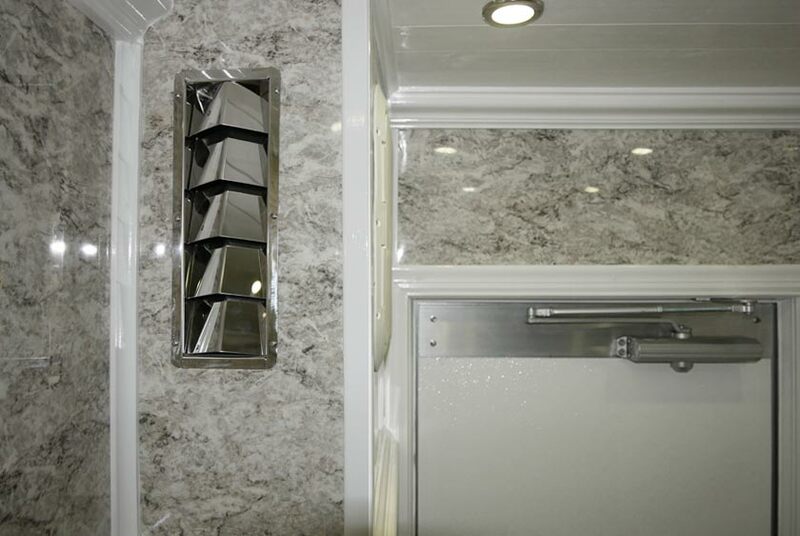 Plus, the stainless steel fan forced built-in wall heater is thermostat controlled for guaranteed user comfort. 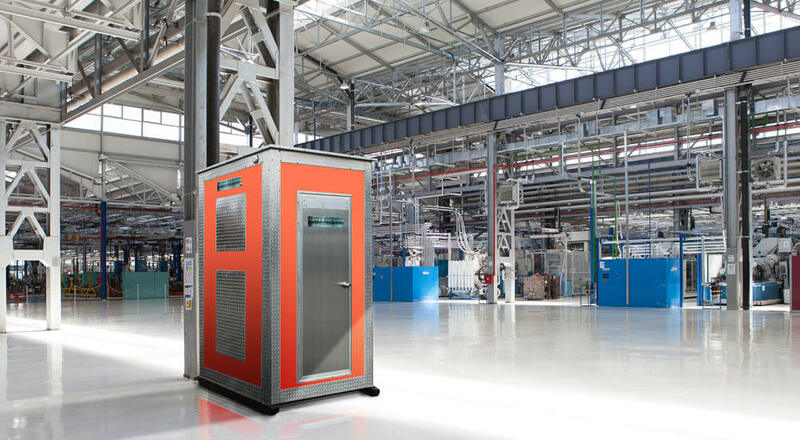 This is yet another CALLAHEAD portable restroom that is unavailable anywhere else. 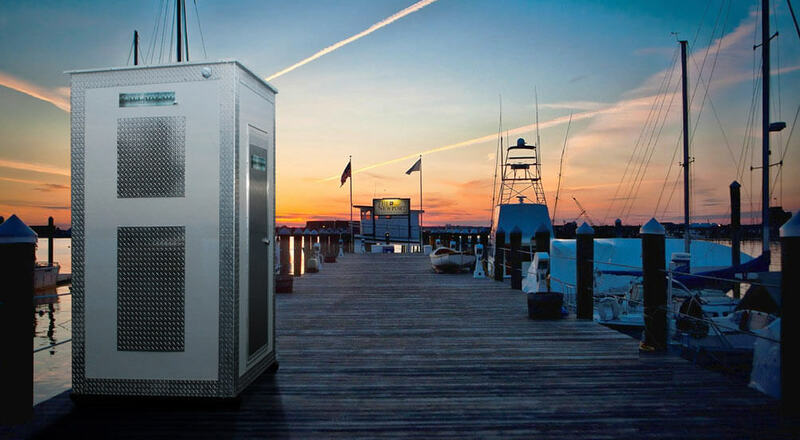 The HEADREST portable restroom runs from a standard 110-Volt outlet or generator for convenience. It is available for same day delivery throughout New York City's five boroughs, Westchester and all of Nassau and Suffolk Counties. 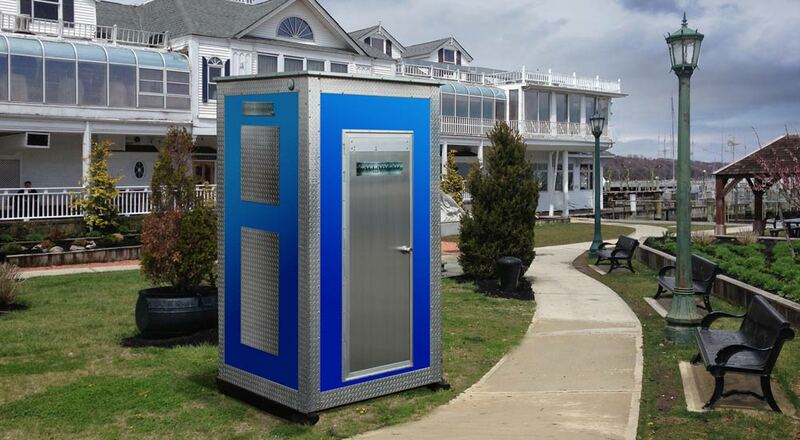 With every long-term portable restroom rental CALLAHEAD offers cleaning services daily, weekly, monthly or a cleaning service tailored to your needs. Our uniformed service technician will clean and sanitize the HEADREST with only hospital grade cleaners and disinfectants, and restock your restroom with supplies at every cleaning service. CALLAHEAD also installs a sign in sheet in every long-term rental so you know exactly who and when your HEADREST was cleaned and restocked with supplies. 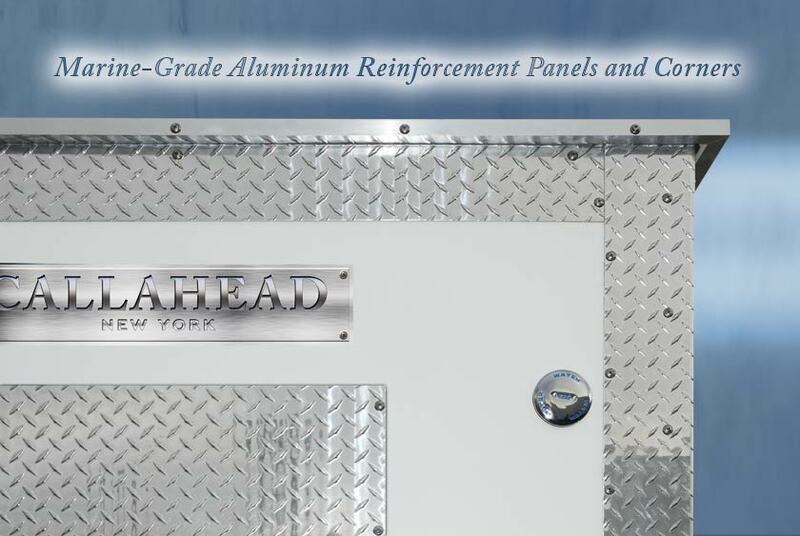 Since 1976 CALLAHEAD has been providing New York with the greatest restrooms and restroom trailers in the world. Led by Mr. Howard, our innovations have changed the industry to ensure every one of our customers receive only the best possible experience from the moment you contact our sales specialists and throughout your entire rental. 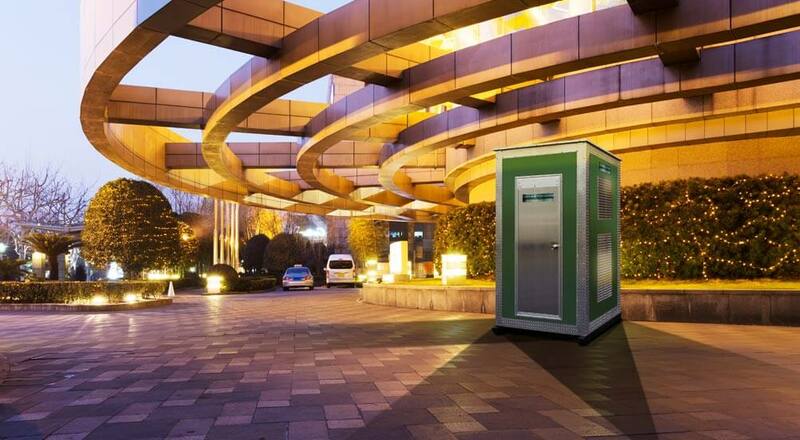 When you rent a CALLAHEAD, you know you are getting the world's greatest portable restroom company working for you. 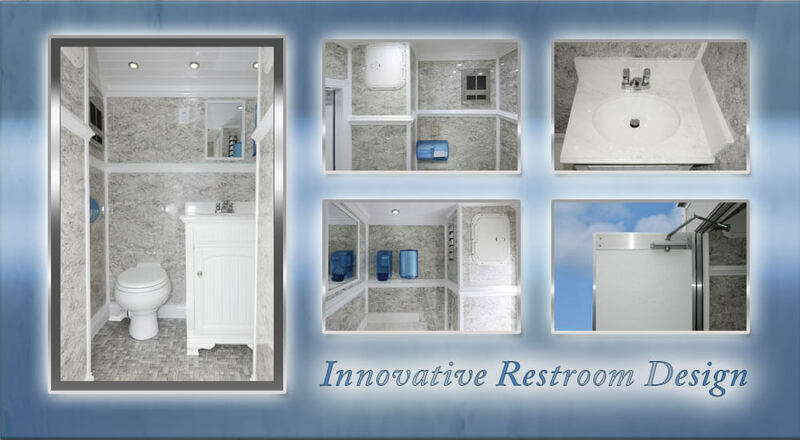 The following is a detailed list of the design features and accessories that come standard inside the HEADREST portable restroom rental. 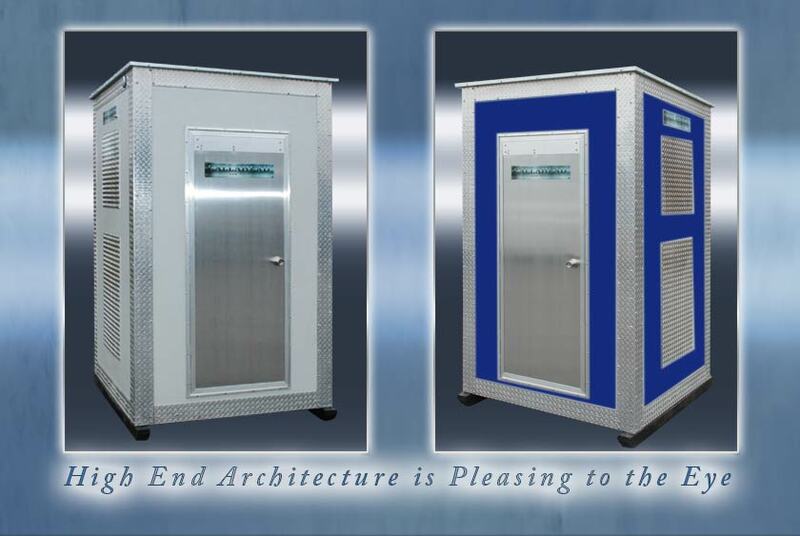 This CALLAHEAD exclusive design has all the premium features for a homelike restroom experience in the convenience of a fully mobile temporary portable toilet rental: Exterior color options - White, Blue, Gray, Green, and Orange • All exterior color options are accompanied by shiny aluminum clad, aluminum panels, aluminum fasteners and aluminum panels • Stainless steel fan forced wall heater is thermostat controlled • Dual Georgia Pacific covered toilet paper dispenser in splash blue • Interior lighting system • Porcelain flush toilet bowl • Key lock entry • Interior locking system • Pedal flush for hands-free flushing for a "touchless" restroom experience • Aluminum door with automatic closer • Homelike restroom with full wood vanity with statuary marble counter tops • Porcelain sink basin • Moen automatic faucet with hot and cold running water • Wall mounted Georgia Pacific soap dispenser in splash blue • Wall mounted Georgia Pacific paper towel dispenser in splash blue • Wall mounted mirror above vanity • Faux granite walls with white wood trim base moldings chair rail moldings and crown moldings • White finished wainscot wood ceiling • Faux mosaic marble Armstrong floors • Spacious interior • CALLAHEAD's designer HEADREST signage signifies the highest quality and cleanest portable restrooms available anywhere. Below is a list of locations and job sites where the HEADREST exclusive portable restroom is commonly rented and recommended. 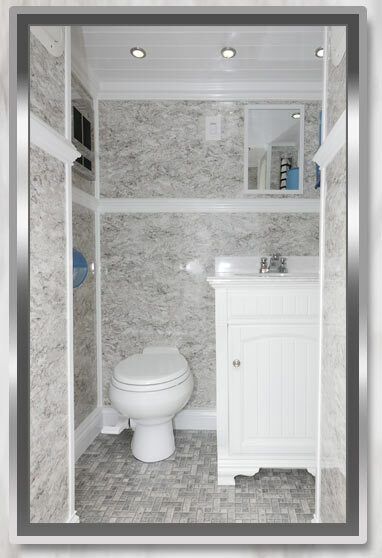 However, this homelike restroom is a perfect bathroom rental for just about any long-term location where temporary restroom facilities are needed. For added convenience, we are proud to offer the below list of optional accessory items with your HEADREST porta-john rental. 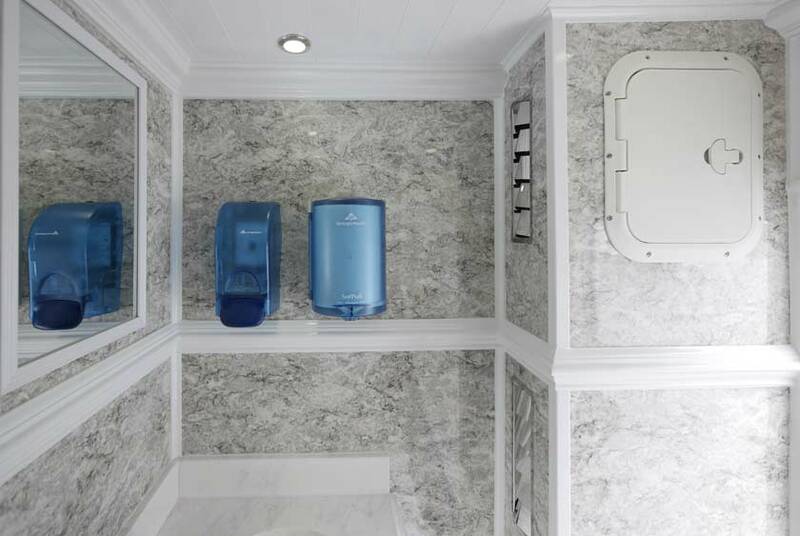 All of CALLAHEAD's rental accessories for portable toilets were selected to deliver the same comforts and hygienic protection as if you were using a home bathroom. Antiseptic Dispenser can be installed inside your HEADREST porta san filled with our waterless hand sanitizer. Our waterless hand sanitizer kills 99.9% of germs and bacteria and meets OSHA and Health Department requirements. Perfect for your sanitary protection before and after using the porta potty, the antiseptic dispenser supplies approximately 900 - 1300 applications and is 100% maintained and refilled when needed by CALLAHEAD with its rental • GoJo Hand Cleaning Dispenser can be installed inside the HEADREST portajohn and filled with the #1 heavy duty GoJo hand cleaner. GoJo hand cleaner is popular among auto mechanics for its ability to break down grease and grime easily. GoJo Hand Cleaner has become widely popular with construction workers and contractors to remove acids, cement and other solvents from hands. 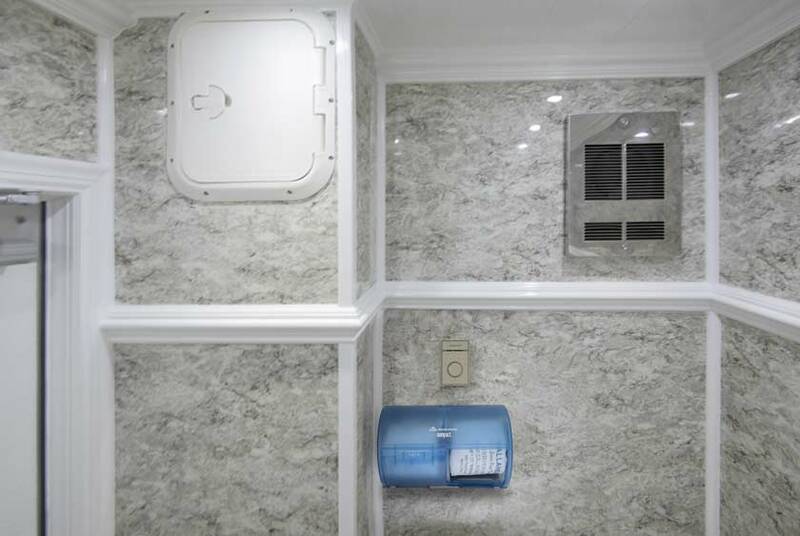 100% maintained and refilled when needed by CALLAHEAD with its rental • Headliner Toilet Seat Cover Dispenser can be installed inside the HEADREST portapotty filled with 250 toilet seat covers so every user may have a clean, dry and sanitary toilet seat. Headliners are refilled when needed and 100% maintained by CALLAHEAD when rented • Headmist Time Released Air Freshener can be installed inside the HEADREST portajohn that will release a fresh clean scent automatically. 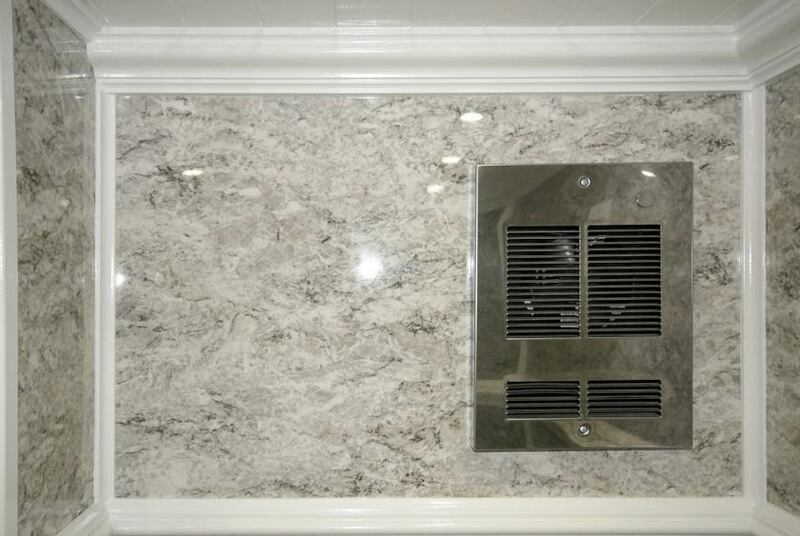 The Headmist is refilled when needed and 100% maintained by CALLAHEAD with its rental. 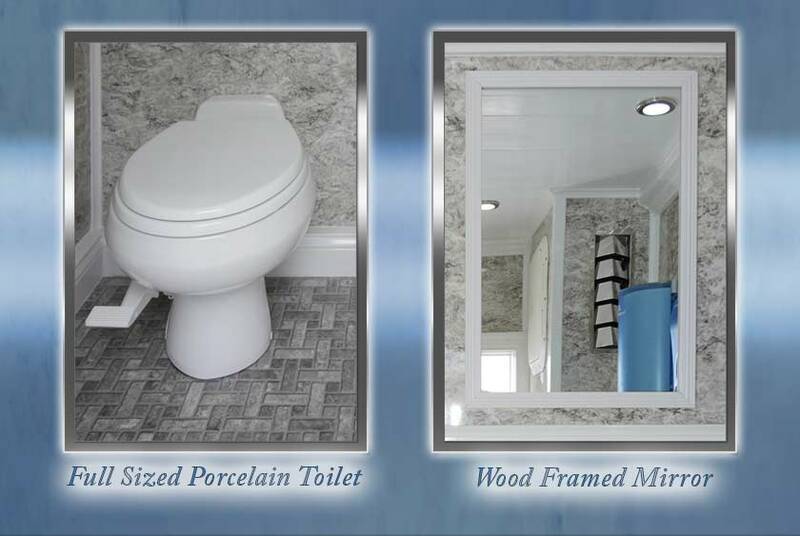 The following is the detailed design specifications for the HEADREST portable restroom rental. Introducing CALLAHEAD's revolutionary HEADREST portable restroom invented by our President and CEO, Charles W. Howard. The HEADREST is a portable restroom that was designed to operate just like a home bathroom. This is an innovative design from the operating system to the structural and interior design. 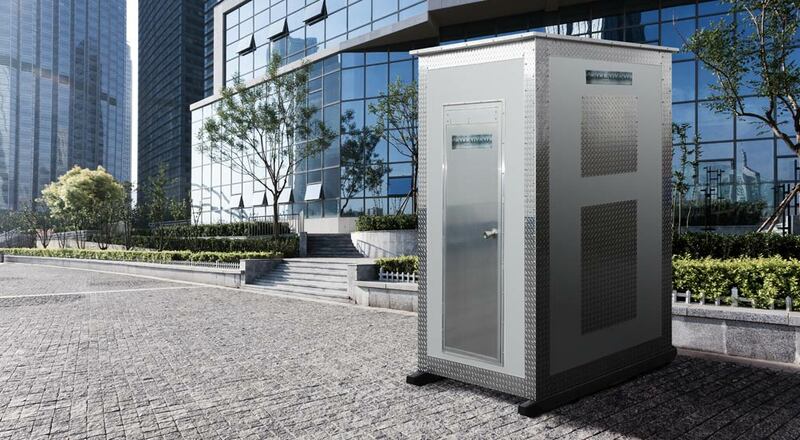 It is a great portable restroom for any long-term rental need such as construction sites, bathroom renovations, restaurants, parking lots, etc. The HEADREST is an excellent choice for any location you want a homelike restroom and not a traditional portable toilet. The HEADREST was constructed using only quality heavy-duty materials of high-density polyethylene marine grade plastic. Available in multiple colored options including white, blue, gray green and orange so you can select the best color for your location. 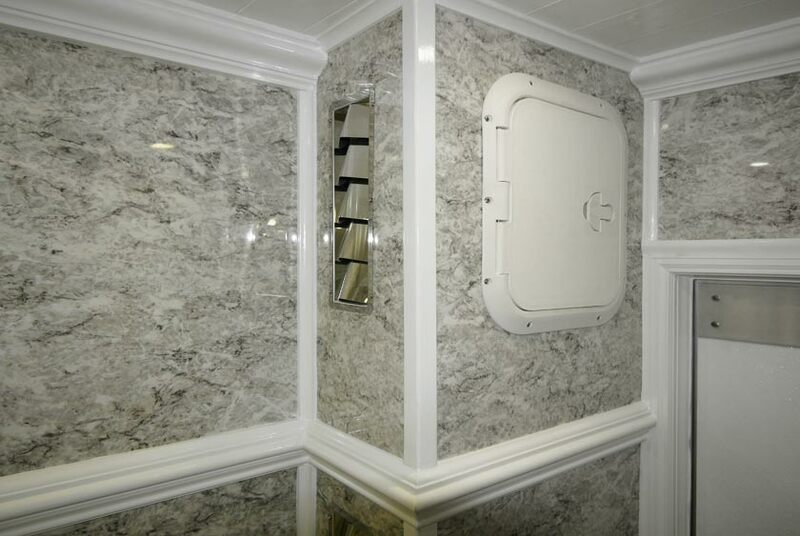 The striking exterior includes marine grade aluminum corner moldings, base moldings, and aluminum panels. The roof moldings have aluminum trim with aluminum flats. 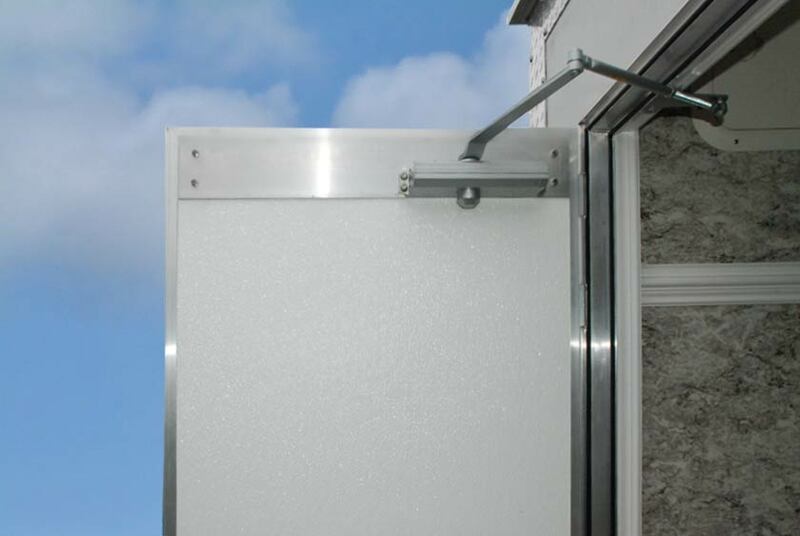 The marine grade diamond plate aluminum and built-in marine grade stainless steel fasteners create an incredible look consistent of its durability.